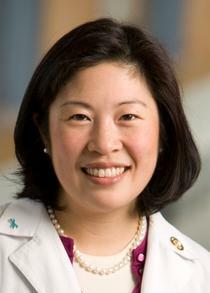 This month Shedding Light caught up with Paula S. Lee, MD, MPH, a gynecologic cancer specialist with Duke Health and an Assistant Professor of Obstetrics and Gynecology at Duke University Hospital. Dr. Lee recently purchased Enova’s Cyclops XLT-125 after using a loaned headlight on a trip to Uganda. Shedding Light: What’s your medical background? Dr. Paula Lee: I received my MD from Tulane University School of Medicine and my MPH from Tulane University School of Public Health, completed an OB-GYN residency as well as a Gynecologic Oncology Fellowship at Duke University Medical Center, and stayed on at Duke as faculty. My clinical interests are all gynecologic malignancies, advanced laparoscopic surgery and robotic surgery, palliative care, and global health. Shedding Light: How did you become involved with a hospital in Uganda? Dr. Paula Lee: Duke partners with hospitals around the world to meet global health challenges and to reduce health disparities through the Duke Global Health Institute. It connects Duke medical faculty and students with physicians at partner hospitals to conduct research and to provide training. Partner hospitals are located in China, Haiti, India, Singapore, and Africa. From Duke colleagues involved in global health, I was introduced to Mulago Hospital in Kampala, Uganda. Mulago Hospital is the main teaching hospital and referral hospital for the country. Patients with cancers are referred to this hospital to receive care. The local OBGYN program was interested in developing subspecialties in OBGYN, including gynecologic oncology. As a gynecologic oncologist interested in global health, I began efforts to help develop a sustainable gynecologic cancer surgical training program for the physicians at Mulago Hospital. Shedding Light: How often have you gone to the Mulago Hospital and what has been your experience there? Dr. Paula Lee: I’ve been three times so far. Mulago is a teaching hospital with high patient volumes and limited resources. My time is spent performing inpatient rounds with the faculty, medical students, residents, and nurses, which provide valuable educational opportunities for both of us. Unfortunately, the cancer burden is high with majority of patients with advanced staged incurable cervical cancer. During inpatient rounds, we can see about 40-50 patients in one day. The other days are spent in the operating theatre where we perform cancer surgeries such as de-bulkings for ovarian cancer and radical hysterectomy for early stage cervical cancers. My visits are one-to-two weeks. On the first trip, I learned how limited the surgical environment was at Mulago. The overhead light provided minimal improvement beyond the ambient light coming through the windows in the operating room. Suture is limited as well as the surgical instruments. On my second trip, I brought camping headlights thinking they would be sufficient, but they weren’t bright enough and had a very short battery life. Before going a third time, I contacted Enova to participate in its Mission Program, which loans out LED surgical headlights. Shedding Light: How well did Enova’s Cyclops XLT-125 perform for you? 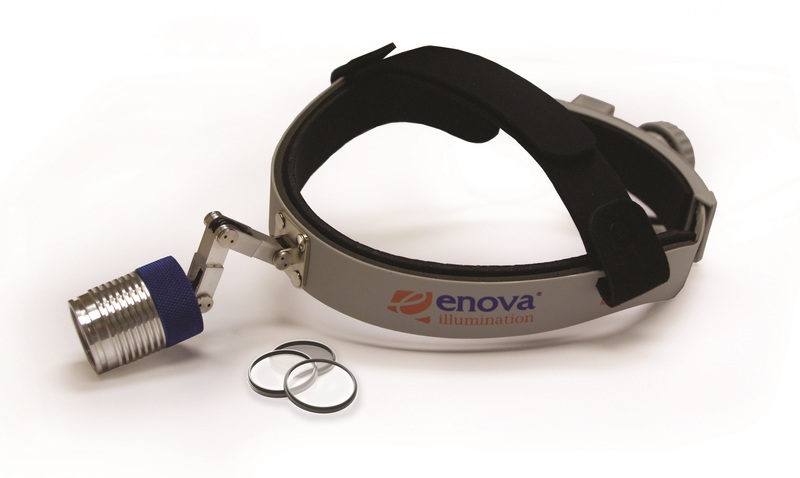 Dr. Paula Lee: The difference was like ‘night and day.’ Having appropriate surgical lighting is critical and Enova’s headlight was very bright and comfortable to wear. The fiber optic headlights I would occasionally use during my fellowship kept me tethered to a power source and gave me headaches. Thus, in my current practice in the US I do not routinely use headlights. However, I was impressed with the XLT-125 as I could easily move around the patient and the battery pack easily lasted for 12 hours which was critical since we were operating into the night. We performed about three major surgeries when in the OR, so I wore the headlights for long stretches of time. Shedding Light: I understand that you recently purchased two Enova headlights? Dr. Paula Lee: That’s correct. I purchased two used Enova headlights specifically for my visits to Uganda; one for me to use and one to donate to the gynecologic surgeons at Mulago Hospital. I plan to leave one headlight there after my next trip in May. I am appreciative of Enova’s efforts to provide appropriate surgical lighting in low resource settings. Note: Enova Illumination supports medical mission work around the world. Hundreds of doctors and dentists have used the company’s LED surgical headlights to perform surgeries in rural and remote countries throughout Central and South America, Asia and Africa. While Dr. Lee’s need was not for mission work, the lighting conditions at the Mulago Hosptial in Uganda are similar to those faced by mission physicians. Learn more about the Mission Program.